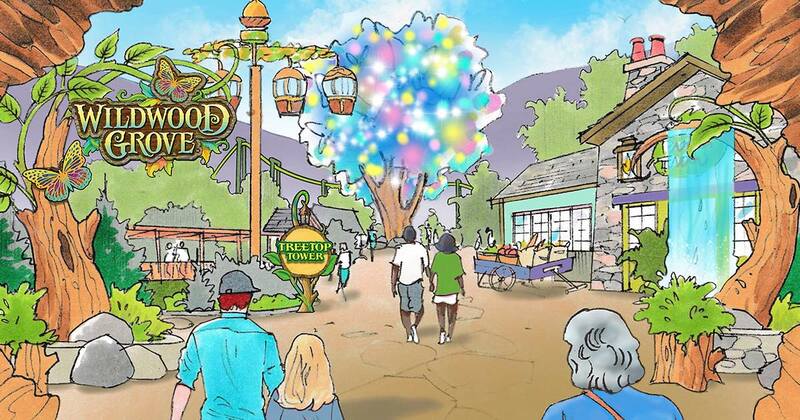 Dollywood announces its largest expansion in park history with the new Wildwood Grove, slated to open in 2019. Wildwood Grove, the largest capital investment in Dollywood’s 32-year history, is slated to open in 2019 and provides an adventurous journey for guests to explore, imagine and play together as a family. The adventure begins as soon as guests enter Wildwood Grove through the massive hollow trunk of a fallen tree. Once inside this delightful place, a remarkable world is unveiled to families through their own imaginations. The Wildwood Tree—a tree unlike any other—serves as the centerpiece of the area. It grows from a cluster of natural rock and boulders, and offers a natural platform for performances throughout the day and night. The green, leafy canopy is adorned with thousands of butterflies that dance playfully in the breeze. As the sun sinks in the sky, Wildwood Grove glows warmly as lanterns and lights glimmer like cheerful fireflies. Once darkness falls, the area sparkles as the Wildwood Tree comes to life each evening in a unique nighttime show that features the butterflies glowing in a kaleidoscope of spectacular color. 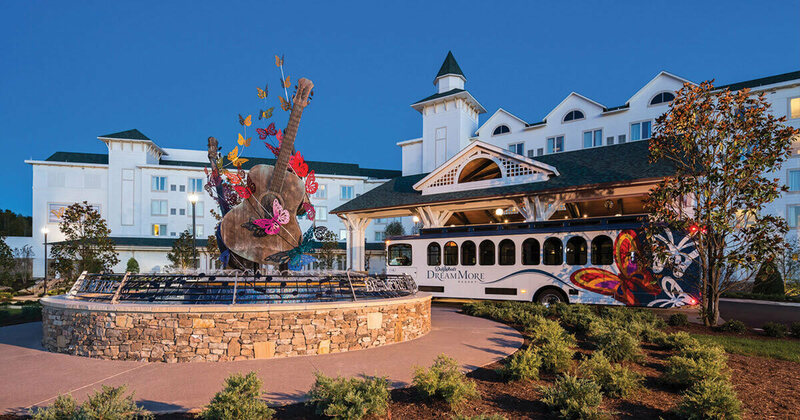 Prepare for an unforgettable experience at Dollywood’s DreamMore Resort and Spa as its third annual Lyrics & Lore event brings the beauty and inspiration of songs and stories to the Great Smoky Mountains. Taking place Jan. 17-19, 2019, join the Dollywood Entertainment team, The International Storytelling Center and Bandtwango, Dollywood’s newest partner, for a captivating weekend event. Lyrics & Lore brings together some of the country’s most talented storytellers and musicians to celebrate the rich traditions of songwriting and storytelling in the Appalachian region. Audience members have the opportunity to enjoy internationally-recognized storytellers as they share their stories and learn about the most popular songs heard on the radio. Guests do not have to be performing or speaking to attend. Additionally, everyone can sit back and enjoy as these talented songwriters perform some of their chart-topping songs. Beginning with registration on Thursday, Jan. 17 and running through the weekend, nationally-recognized storytellers and hit songwriters from country and gospel music take center stage. The headline concert takes place Saturday night and features Tim Nichols and Craig Wiseman, the duo who wrote the chart-topping Tim McGraw song “Live Like You Were Dying” that won Best Country Song at the 2004 Grammy® Awards. Combined, these songwriters have penned songs for performers such as Dolly Parton, Kenny Chesney, Faith Hill, Blake Shelton and more. In 2009, Wiseman was awarded “Songwriter of the Decade,” and in 2015, he was inducted into the Nashville Songwriters Hall of Fame. On Thursday night, an opening reception features performances by the duo Thom Shepherd, CMA Texas Songwriter of the Year, and artist Coley McCabe. As an Austin-based touring artist who spent many years as a songwriter in Nashville, Shepherd now performs regularly with his band, solo and as a duo with McCabe. Friday’s songwriting workshops feature discussion and instruction from Sam Tate, Cole Taylor and Chase McGill. Tate is a Grammy-nominated songwriter whose songs have been recorded by a Who’s Who of country artists from Reba McEntire to Rodney Atkins. Taylor has quickly become an in-demand country songwriter for a multitude of country artists including Luke Bryan, Jason Aldean, Cole Swindell and Florida Georgia Line. Songwriting newcomer McGill hit his stride in 2018; in October, he topped the Music Row Songwriter chart at #1 with songs by Swindell, Bryan, and Kane Brown on the charts simultaneously. Storytelling experts Barbara McBride-Smith and Michael Reno Harrell headline the storytelling segment of this year’s Lyrics & Lore on Friday and Saturday. McBride-Smith transports audiences from the ancient world of the Greek gods and goddesses to the eclectic shenanigans of her Baby Boomer generation. She is said to interpret folklore with the style of a Texas-born cheerleader and has been featured on NPR, authored two books, and contributed to the multi-volume series, The Storytellers Companion to the Bible. She is the recipient of the NSN ORACLE Circle of Excellence and the American Library Association’s ‘Top Ten Titles’ awards. Harrell is an award-winning songwriter and veteran storyteller/entertainer from the Southern Appalachian Mountains, where storytelling is as much a part of the culture as music. Five decades of performing have taken him to more than 40 states and several countries. A consummate performer, Harrell’s combination of music and storytelling is based in experience – sometimes very funny, sometimes a bit scary, often heartwarming and always entertaining. On Friday night, the first evening of the Songwriter Keynote and Concert begins with Regie Hamm, a multidimensional writer and storyteller. Penned as an artist, producer, songwriter, novelist and more, Hamm has received multiple Grammy® Award and Dove nominations, as well as being noted for his 21 #1 hits in the Christian market and one American Idol finale song, “The Time of My Life,” recorded by David Cook. A full schedule and registration details for Lyrics & Lore is available at www.dollywood.com. Please note that some of the music concerts are separately ticketed events. To stay at Dollywood’s DreamMore Resort and Spa for the event, visit www.dollywood.com or call (800) DOLLYWOOD. Happy Birthday to Dollywood’s Klondike Katie and Cinderella! Two of Dollywood’s most famous leading ladies celebrated milestone birthdays this year. Katie celebrates her 75th, while “Cindy” enjoys the big 8-0 this season. Both ladies have the opportunity to entertain thousands of Dollywood guests each season, and their performances turn heads and garner waves of admiration wherever the track takes them. Klondike Katie has worked most of the season while her co-worker Cinderella underwent a months-long refresh. She now looks much like she did back in 1938, with similar cosmetics and a font type close to what would have been on her originally. 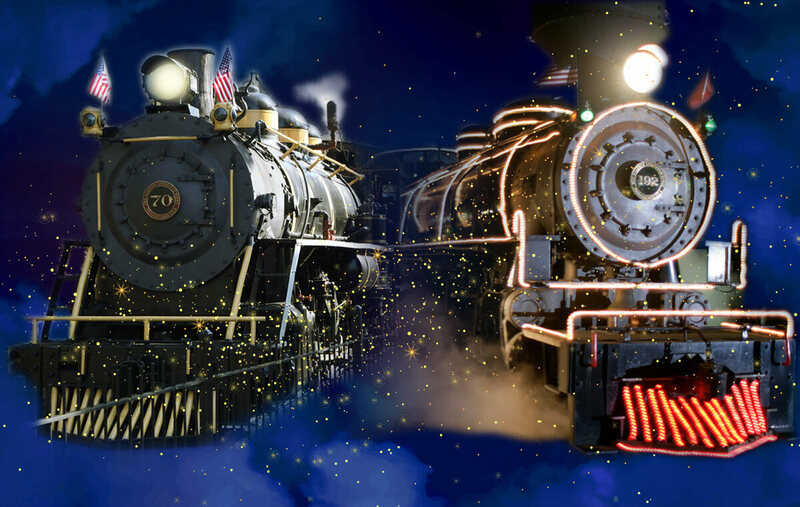 Just in time for Dollywood’s Harvest Festival presented by Humana (now- Nov. 3), both Cinderella and Klondike Katie are ready to charge full steam ahead into the park’s busy fall and Christmas seasons. Dollywood Express Team Lead Tim Smith says maintaining the workhorses is a labor of love for his team. For many of them, their current jobs were dreams many years in the making. Smith has had an interest in steam trains his whole life, working at the North Carolina Transportation Museum, as well as Tweetsie Railroad (located in Blowing Rock, North Carolina). He moved west and worked at the Durango and Silverton Railroad in Durango, Colorado and the Virginia and Truckee Railroad in Virginia City, Nevada. He desired to move closer to home and in 2015 accepted his current position at Dollywood. When Klondike Katie first arrived in Pigeon Forge in 1961, the area looked much different. She anchored a new attraction that had just been built that provided visitors with a five-mile journey through the foothills of the Great Smoky Mountains. 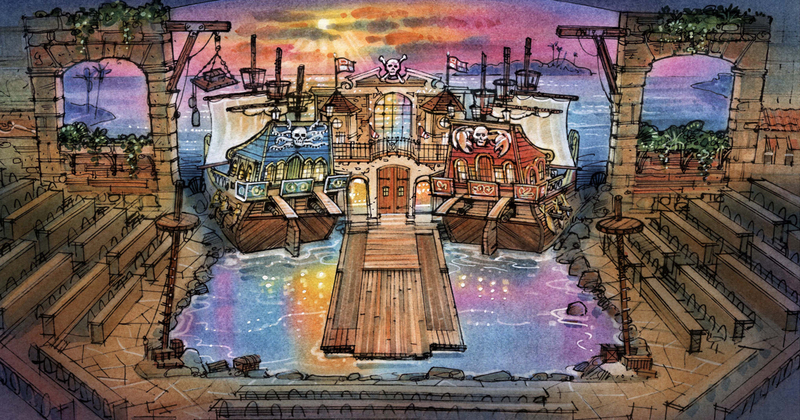 In the early years, there was not even a workshop to house Klondike Katie. After several changes of ownership, the small park was acquired in 1977 by Jack and Pete Herschend of the Branson, Missouri-based Herschend Enterprises. Owners of Silver Dollar City in Branson, the brothers renamed the park Silver Dollar City, Tennessee. The big steam engine was acquired as part of the sale. That same year, the Herschends acquired engine 70 and shipped her to the park to work alongside No. 192. After Dolly Parton and the Herschends formed Dollywood in 1986, and the number of visitors continued to climb, the two locomotives continued faithfully serving. For thousands of guests, The Dollywood Express is their main reason for visiting. Smith and his hardworking team balance a tricky schedule to ensure the engines receive the maintenance they need, while also staying operational for park guests each day. And while most folks may think maintenance stops with the locomotives, the crew in the train shop also has to maintain the tracks and the passenger cars. It adds up to a great deal of work each season. For the untrained eye (and ear), it may be hard to tell the two apart, except for the numbers emblazoned on their sides. For the many locomotive enthusiasts who visit the park, as well as the Dollywood hosts who work alongside them every day, each has its own personality. Klondike Katie originally was built for speed, while Cinderella had more power and torque to pull heavier loads. In addition to the visual cues, the engines sound very different; especially as they begin their climb out of the Dollywood Express Train Depot for the 20-minute roundtrip experience. Even the folks who work on the pair have their favorite—they just don’t let the other engine know it. Even Smith does a great job of hiding which is his “true” favorite. No matter which locomotive is pulling the train, The Dollywood Express is a guest-favorite for many who visit the park. Happy Birthday, Klondike Katie and Cinderella! 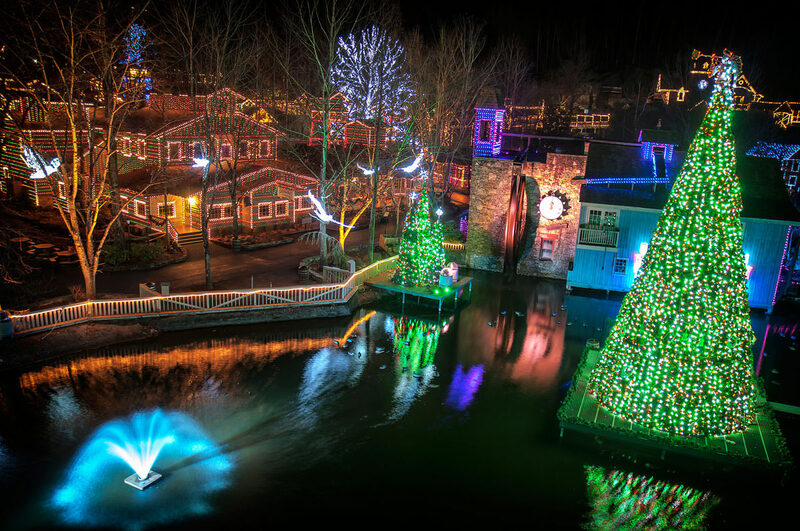 Light The Way 5k proceeds benefit Keep Sevier Beautiful & Share It Forward, an assistance program for Dollywood employees. Participants in the seventh annual Light the Way 5K Run/Walk get to see Dollywood’s Smoky Mountain Christmas festival in a different light – actually five million lights – as the theme park hosts this special event on Friday, Nov. 16 beginning at 11:18 p.m.
Pre-registration is encouraged for the Light the Way 5K as the race is limited to 2,018 participants. Registration fee until race day is $45. Register online at www.lighttheway5k.net. Race day registration takes place from 11 a.m. -10 p.m. at the front gate area at Dollywood’s Splash Country. For more information, email info@keepsevierbeautiful.org or visit Light The Way 5k.